A cesarean section or “C-section” delivery refers to the well-known process of surgically delivering a baby from the uterus as opposed to a normal vaginal birth. In a C-section, the doctor makes a surgical incision in the mother’s stomach and the baby is physically extracted through the opening. There are a lot of birth injury medical malpractice lawsuits filed in Maryland due to the failure to perform a C-section. What are the side effects of a cesarean delivery? Side-effects of a C-section delivery often include excessive fatigue, itching, numbness and painful constipation. Another side-effect of a C-section is that the recovery time is typically much longer compared to a vaginal delivery. C-sections are so common that many people don’t think much about the potential side effects. Like any surgical procedure, C-sections present an increased risk of infection. Women who previously had a C-section delivery are at even greater risk for post-surgical infections. Damage to other organs is another risk presented by C-sections. C-section delivery may be necessary for a number of reasons. In some cases, doctors will opt for a C-section in advance. This can be because the baby is too large for the mother’s pelvis or because of other complications that are diagnosed in advance. In other situations, an emergency C-section might be performed in response to complications that arise during vaginal delivery. For example, an emergency C-section might be done if the baby becomes stuck in the birth canal or the umbilical cord is compressed. Can you die from a C-section? Although it is very rare, women do occasionally die as a result of childbirth. According to the CDC, approximately 700 women die from childbirth in the U.S. every year. The maternal fatality rate is significantly higher for C-sections as compared to vaginal deliveries — 13 out of every 100,000 C-section deliveries result in death vs. 4 out of every 100,000 vaginal deliveries. The most common cause of maternal death from C-sections is uncontrolled bleeding. Most women who undergo a C-section are given “regional anesthesia” which keeps them awake but completely numb in the lower portion of their body. 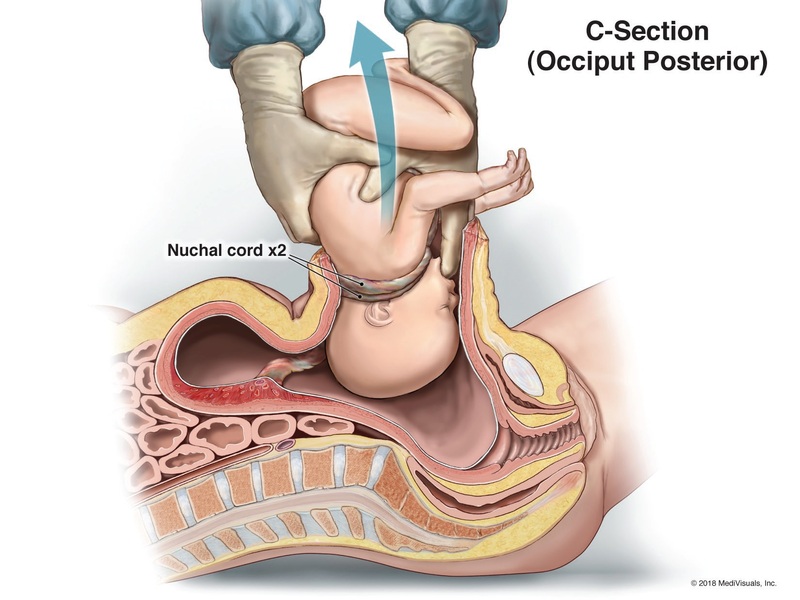 This mean there is no pain during the actual C-section procedure, although there may be some pulling and discomfort. A surgical curtain is used to shield the mother from seeing the unpleasant sight of the incision. Some emergency C-sections require general anesthesia which means the mother will not be fully conscious during the delivery. Although the actual procedure does not involve pain, recovery from the surgery can be painful. A C-section is a significant surgical procedure so the post-delivery recovery period is much longer and harder than a vaginal delivery. A mother will remain in the hospital for several days after a C-section and it usually takes about 4-6 weeks before they are fully recovered from the surgery. Can I have natural birth after a C-section? Vaginal birth after cesarean (“VBAC”) is still a safe possibility for most women. A woman who has previously had a C-section is at an increased risk of sudden uterine rupture during a vaginal delivery. However, recent studies suggest that VBAC is a safe option for 60-80% of women with prior C-sections. Can you elect to have a C-section? Electing to have a C-section based on preference or convenience is a controversial topic. Some mothers want to have a C-section so that they can schedule the day of their delivery or avoid the pain of natural delivery. The American College of Obstetrics and Gynecology has officially stated that it is ethical for doctors to allow a mother to choose a C-section, but doctors will strongly discourage it. Can you schedule a C-section? Emergency C-sections obviously cannot be scheduled. However, when a C-section delivery is planned in advance the mother and doctor can schedule the delivery on a chosen date. There are some natural limitations to this and sometimes complications can arise that require the scheduled date to be changed. But for the most part, planned C-sections can be deliberately scheduled at a convenient day and time. Can a child get brain damage during a C-section? During labor and delivery it is critical that the baby’s supply of oxygen is not interrupted in any way. Even a very short deprivation of oxygen during delivery can result in serious brain damage to a baby. Oxygen loss and brain damage can occur during a C-section delivery. What kind of malpractice cases arises relating to C-sections? 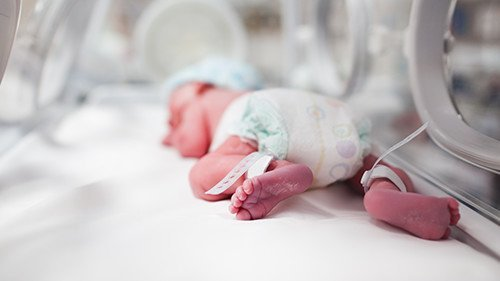 Most birth injury malpractice claims involve allegations that the doctors negligently failed to perform a C-section or waited too long for an emergency C-section. In some instances, however, the C-section procedure itself can give rise to serious medical malpractice claims. These type of C-section malpractice claims are usually based on theories of surgical error. For example, if the doctor makes an improper or negligent incision or fails to properly suture. Or if the C-section incision is too deep and cuts the baby. Below is a summary of some recent settlements & verdicts in cases involving both failure to perform a C-section and C-section surgical errors/negligence. Dixon v. United States (2017 Florida) $33 Million Verdict: Plaintiff alleged that her doctors failed to perform a timely emergency C-section in response to clear signs of fetal distress during labor. Specifically, the fetal heart strip showed sign of significant fetal distress but the doctor told Plaintiff to keep pushing anyway. An emergency C-section was eventually performed but by then the baby had suffered severe brain damage due to oxygen deprivation. The injuries essentially left the baby in a permanent vegetative state. A jury in Miami awarded damages of $33 million. P. v. United States (2015 California): Jury Verdict $9.8 million: negligent delay in performing emergency C-section in response to delivery complications resulted in brain damage and cerebral palsy. Sandoval v. St. John’s Regional Med. Center (2008 California) – Bench Verdict $260,000: This is C-section surgical error case. In performing the C-section, the doctor accidentally cut Plaintiff’s uterus. The laceration went unnoticed for a few days and by the time it was detected the only option was to surgically remove the uterus. 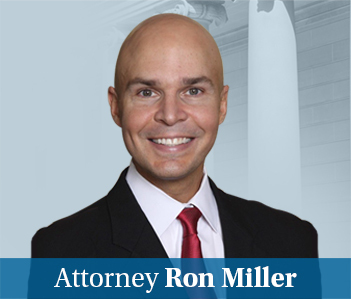 My law firm handles birth injury cases in Maryland. Call me today at 800-553-8082 or get a free, no obligation case evaluation online.